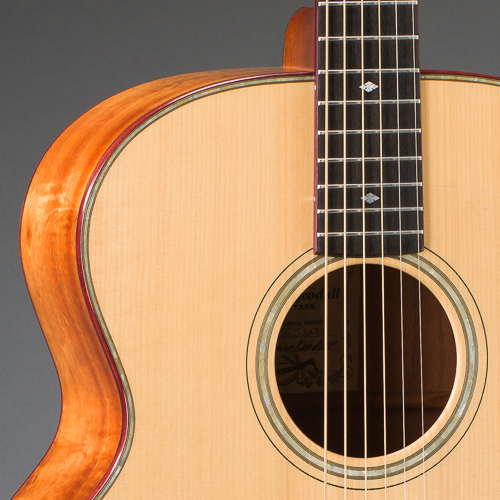 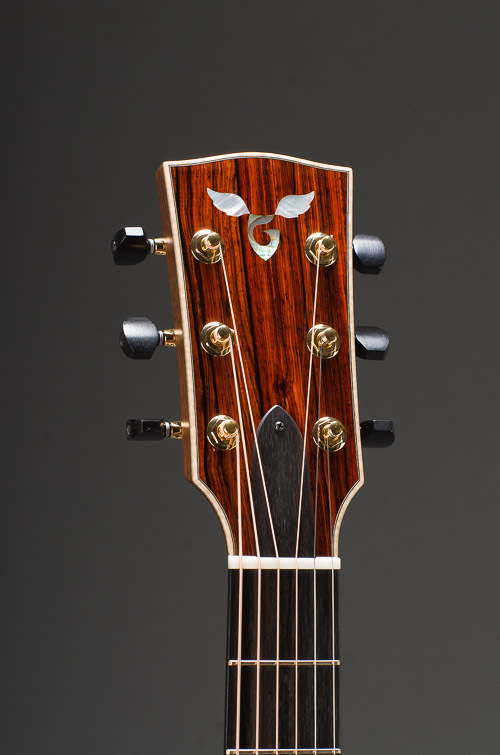 Choose from our myriad options below to customize your Goodall Guitar. 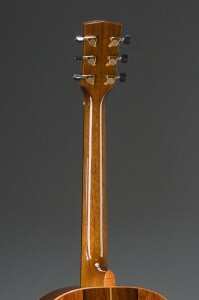 We offer many types of striking shell inlay, beautiful binding wood species, cutaway styles, custom setup options, and pickup choices, so that you can design an instrument that is uniquely yours. 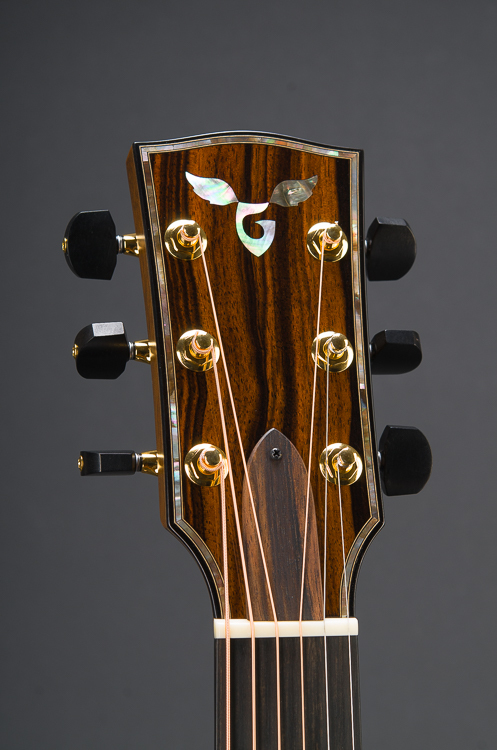 Our standard bindings wrap the edges of each Goodall Guitar around the peghead, the body, and are matched with the inlaid end graft. 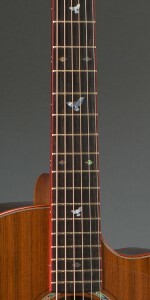 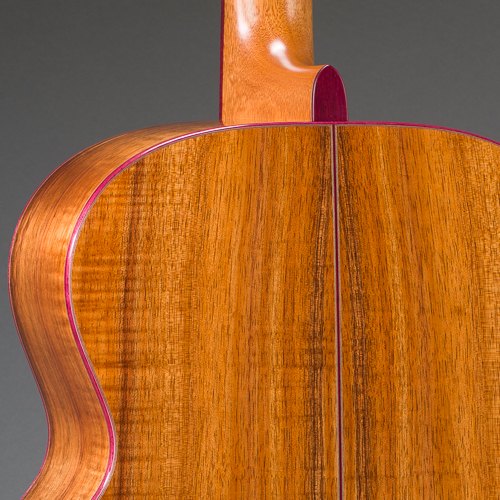 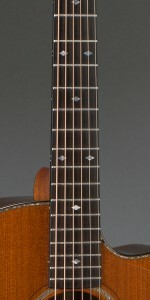 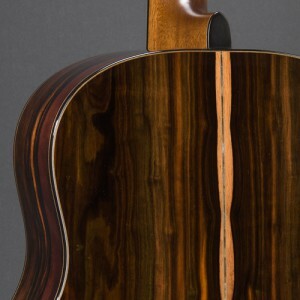 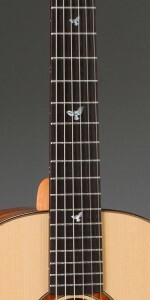 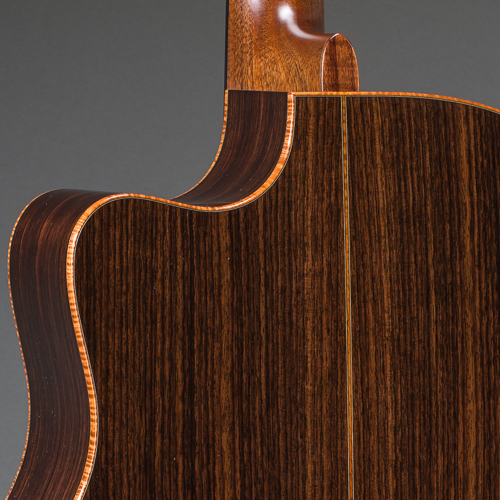 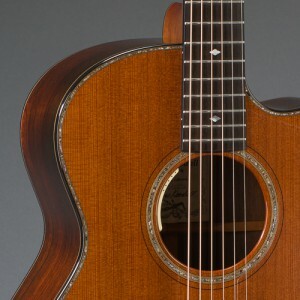 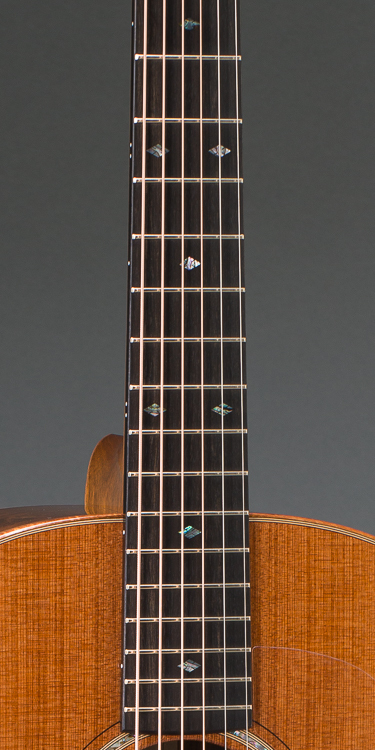 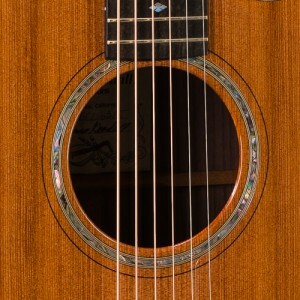 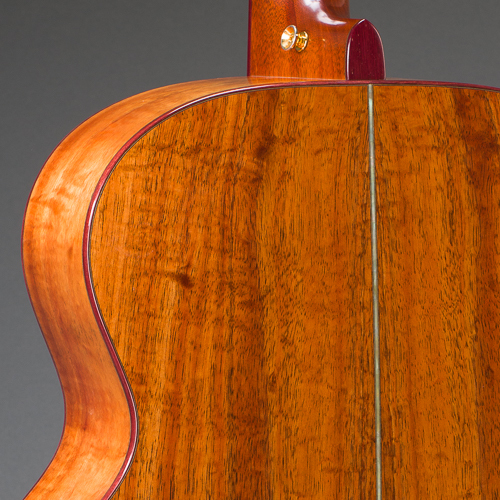 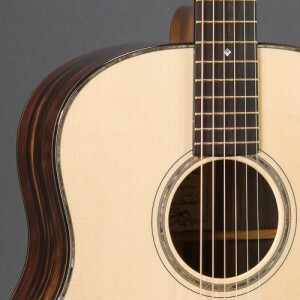 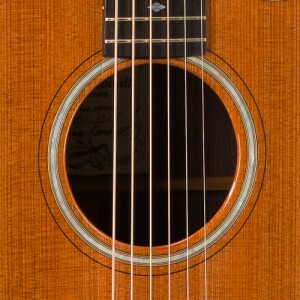 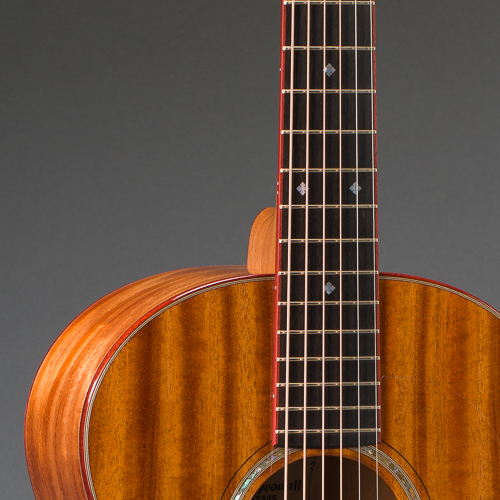 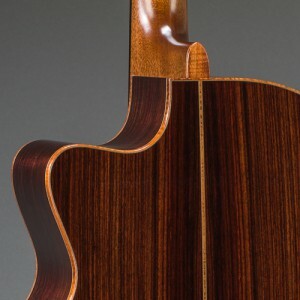 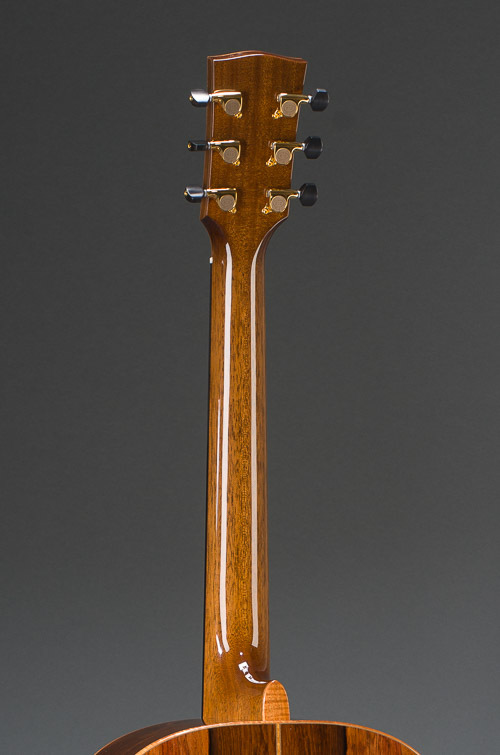 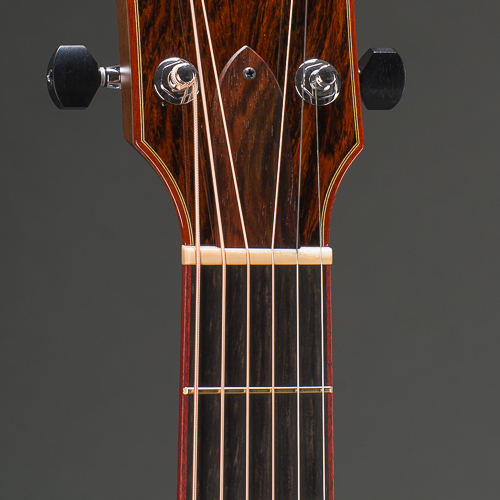 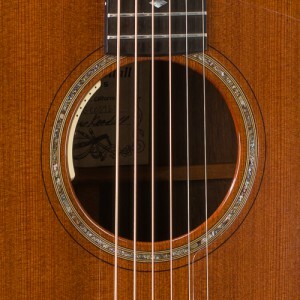 The standard included fretboard bindings are ebony, with maple on the Traditional series, Purpleheart on the Royal Hawaiian series, and Hawaiian Koa with the Pacific series styles. 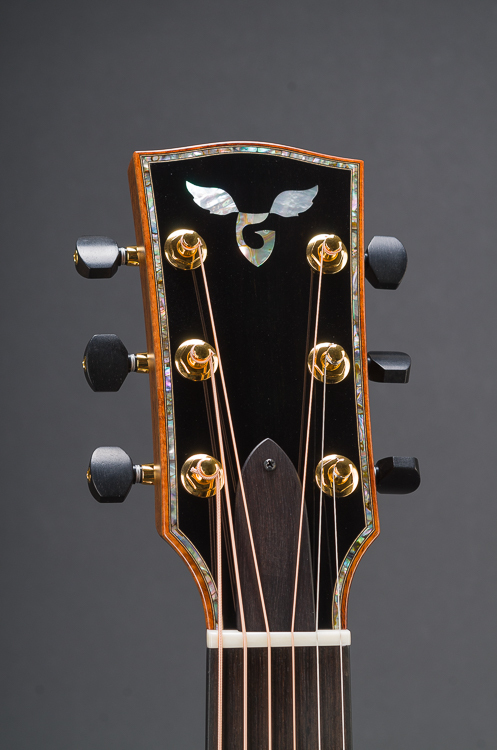 You can choose from the following options to modify the look of your instrument. Whether you prefer a strong contrast difference to your body tonewoods, or you prefer them to blend in, you can make it your own. 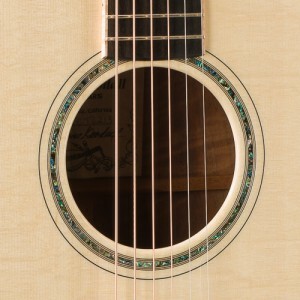 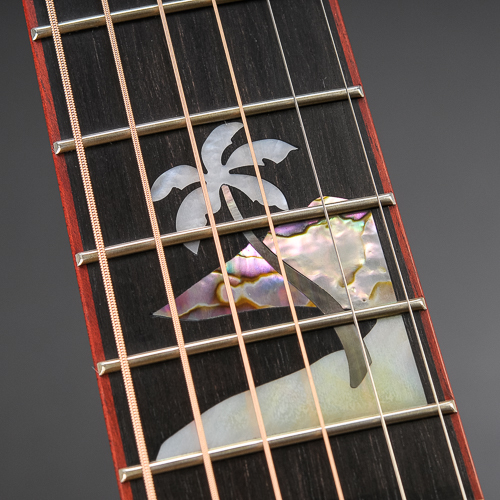 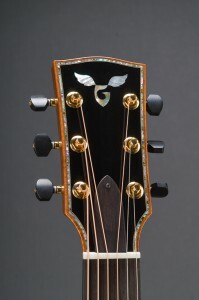 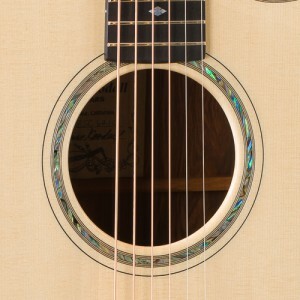 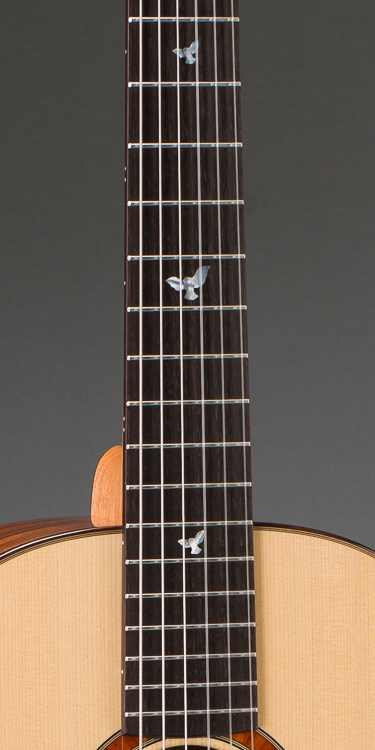 Our standard inlays include mother of pearl logo wings, the logo G is matched to the abalone shell rosette inlay, with slotted mother of pearl diamonds as fretboard markers. 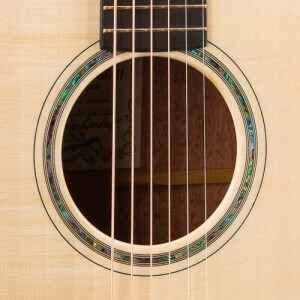 Choose from the following options for a different accent, all of our shell is naturally reflective from certain angles. 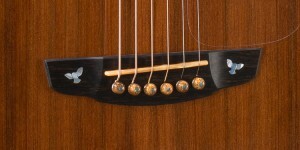 These options are arranged by their popularity. 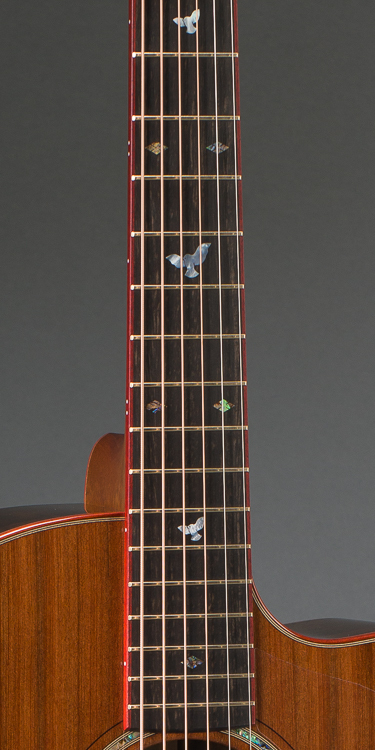 Don't think any of these inlay options are quite what you envisioned? 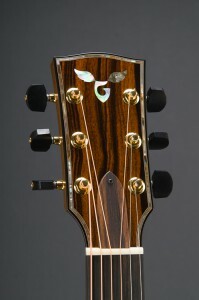 You can send us your art and we will work with you to make it possible on a Goodall Guitar. 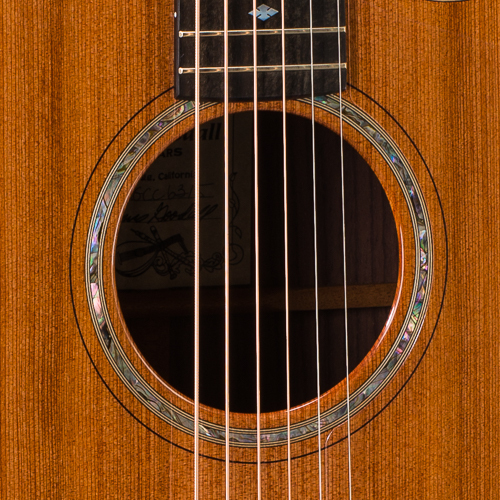 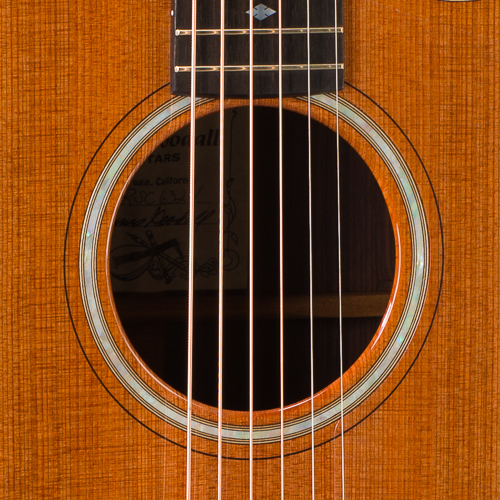 A cutaway will allow an easier reach up to the very highest frets of your guitar. 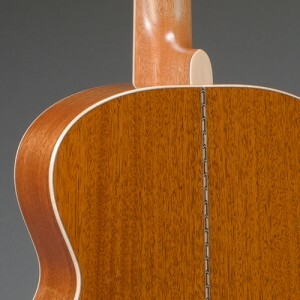 We offer two types of cutaway. The venetian cutaway is a curvy bent style which is much more popular, while the florentine cutaway tapers to a nice point for a different kind of elegance. 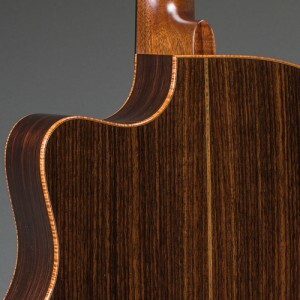 Whichever you decide upon, it should be chosen primarily for it's functionality and then possibly it's aesthetic qualities. 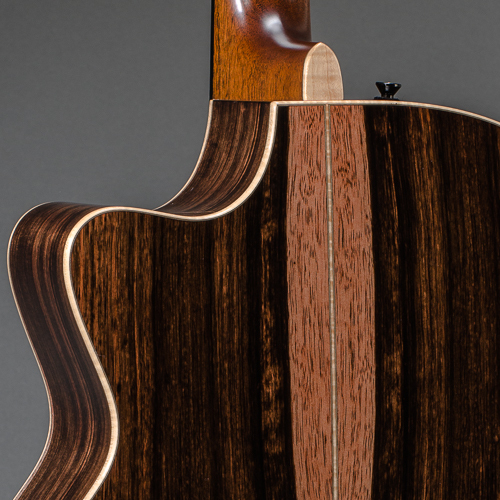 Though some guitar purists disfavor a cutaway, we have not found it to be a detriment to our fine tone. 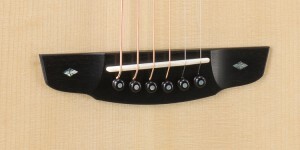 Guitar setup is all about adjusting the instrument based on your preferences. 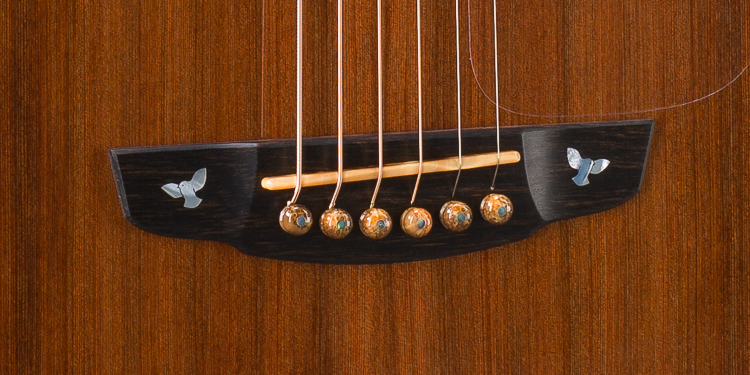 The setup process encompasses a wide range of finely tuned details. 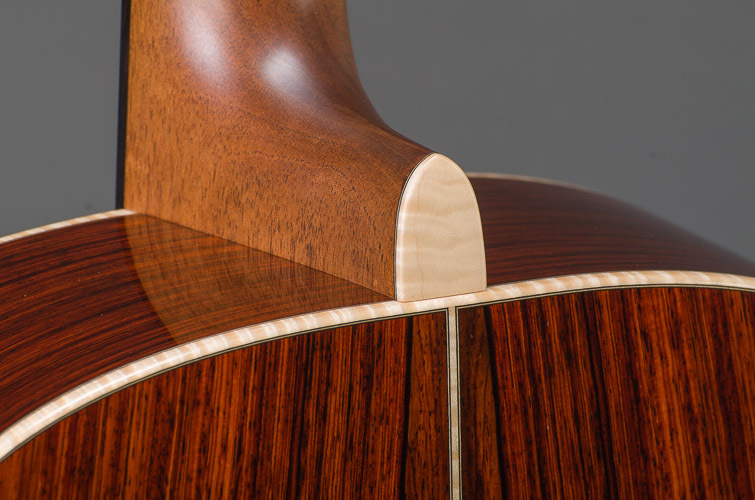 We take care of the most important details for you - from action height and neck relief, to bridge height and saddle intonation shape, and everything in-between. 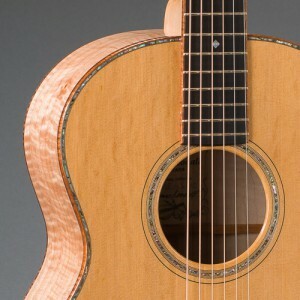 You may want to choose some of customizable details below based on your unique needs. 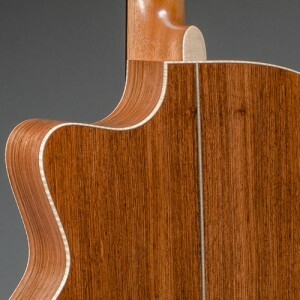 The initial neck width of the majority of our guitars is 1.75" at the nut with a 2.250" string spacing at the saddle. 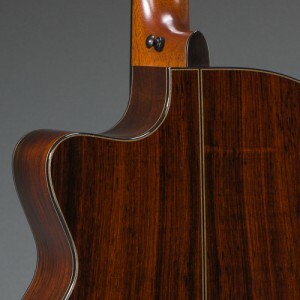 This width is best for almost all players and it is highly recommended unless you have firsthand experience to guide your choice. 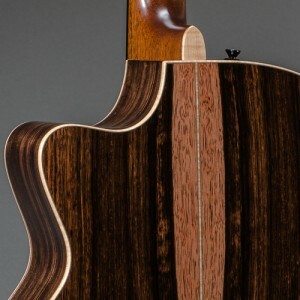 If you know that you have an especially small or large hand, you may want to narrow or widen your fretboard width for improved playability. 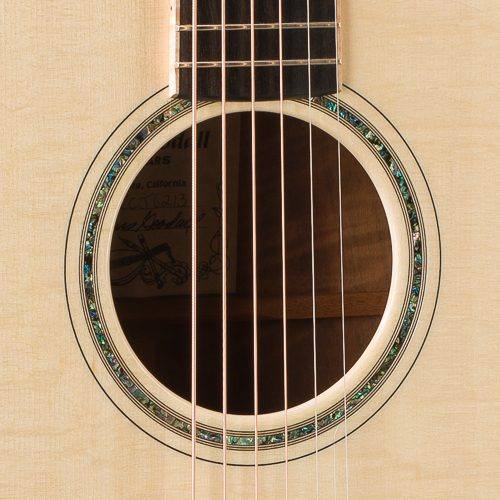 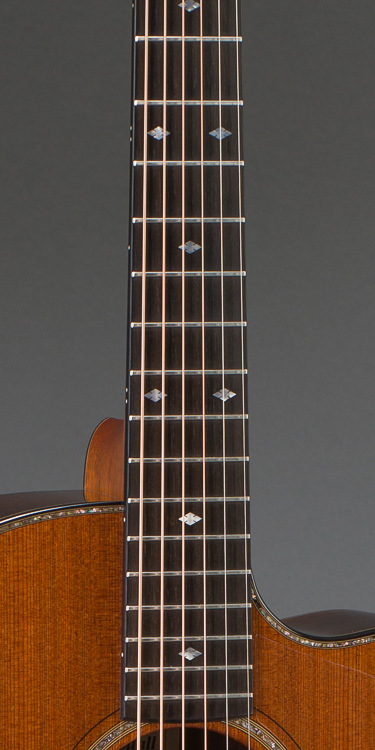 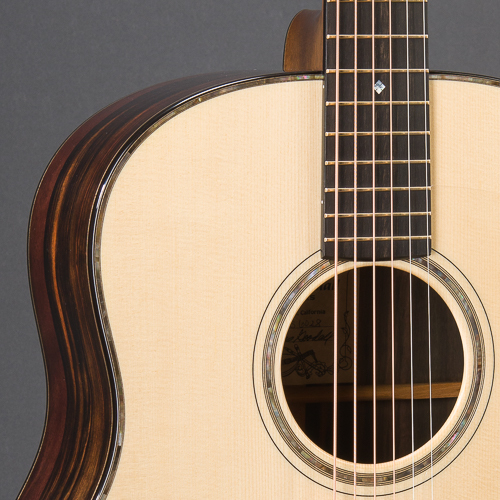 The exceptions to this rule are our Crossover model, and Parlor 12-Fret Slotted option which are both initially at 1.875", our 12-String option which is at 1.9375", and our Classical model with it's 2" width. 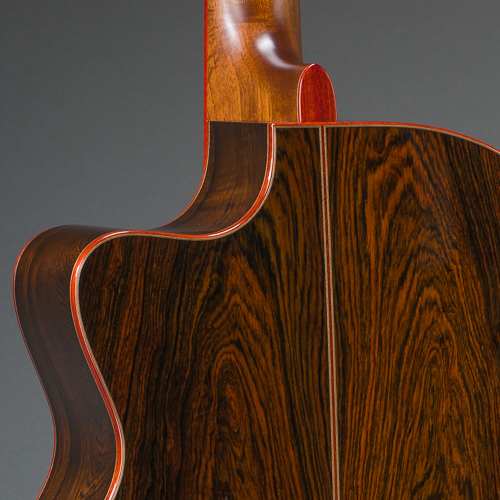 All of our instruments initially have a slippery satin finish with the exception of our gloss-buffed Classical neck. 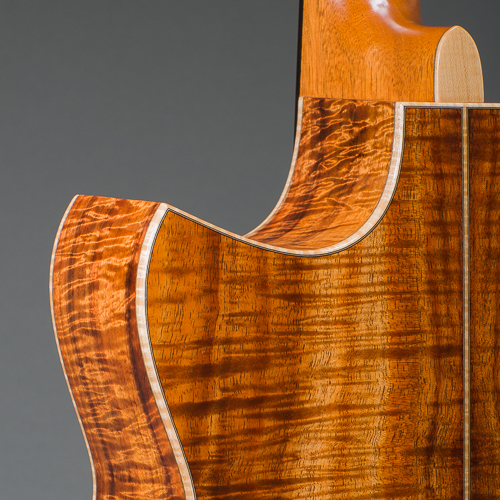 Choose a gloss-buffed neck for a more grippy feel under your hand, or for cosmetic appeal. 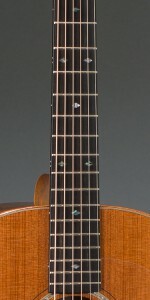 The initial back of the neck is best described as a very slight "V" shape. 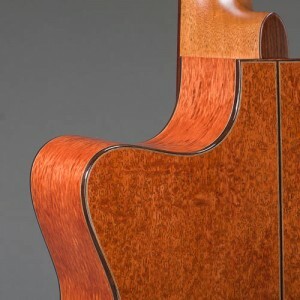 We recommend handling our neck before deciding on an alteration, but we do offer custom neck shapes upon request. You may decide that you want more of a "C" shape, which we can accommodate. 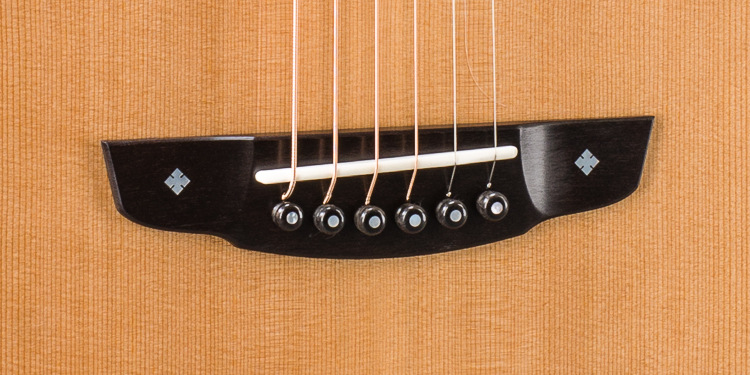 Choosing different combinations of tuner buttons and knobs allows you to get the look just the way that you want it. The initial tuners on our Traditional Series guitars are the nickel plated Waverly open-gear machines with ebony buttons. 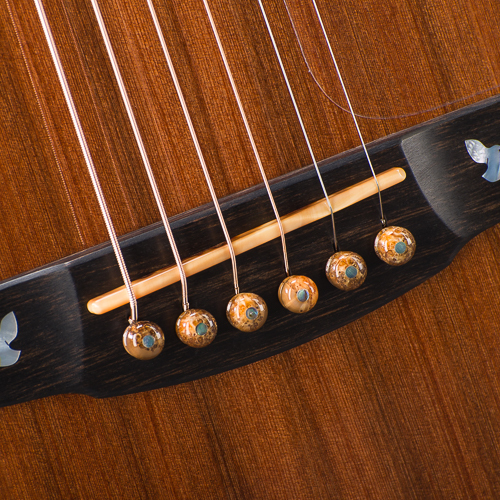 All of our steel string guitars have a bone nut and saddle. 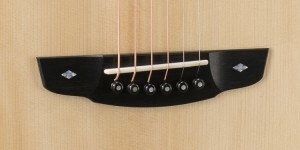 We offer Fossilized Walrus Ivory upgrades for the standard bone, as well as optional inlaid bridge pins and end-pin. 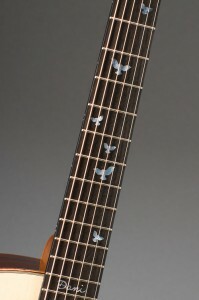 This rare fossilized bone provides unique aesthetics with similar acoustic qualities . 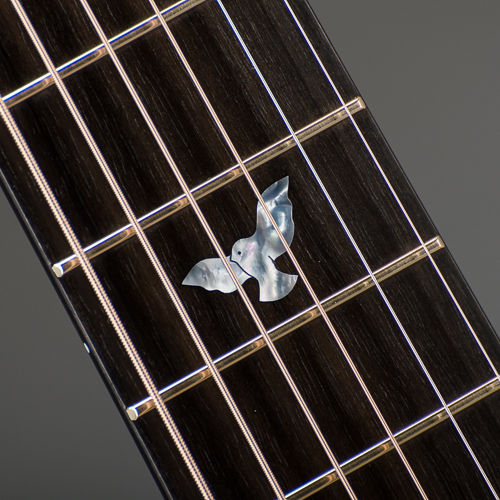 We source our walrus ivory responsibly from fossil excavations in Alaska. You may also find a peghead veneer matched to your back and sides tonewood appealing. 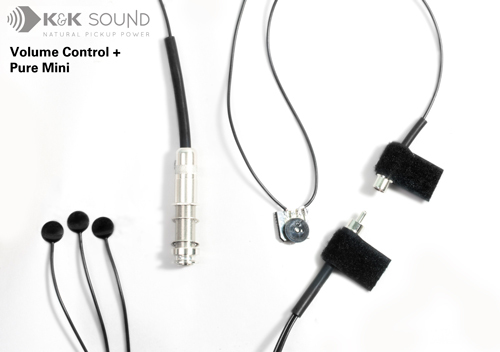 We know that you can't always bring your sweet external 'studio' microphone setup when performing. We also know that it is notoriously difficult to reproduce your guitar's natural acoustic sound with true high fidelity. 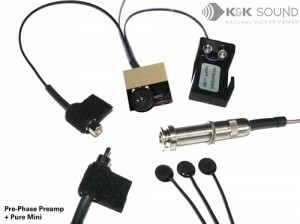 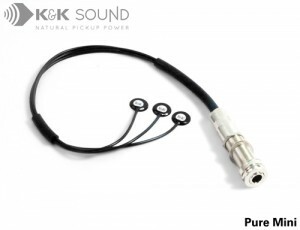 After decades of using many different pickups systems, these K&K pickups meet our expectations of great tonal accuracy without diminishing the amazing 'three dimensional' un-plugged Goodall tone. 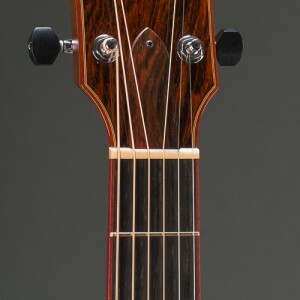 These do away with under-saddle pickup problems and do not interfere with our precision fit saddle and will get you amplified wherever you're playing.